Iphone Active: Apple phones "are three times more reliable than Samsung"
Apple phones "are three times more reliable than Samsung"
Again, the iPhone again leads the rankings of the best phones on the market, more reliable and more satisfied customers. So says a study by the web 'Fixya', which analyzed a total of 722,558 web problems described by customers in its smartphones holders. The iPhone stands out from other competitors like Samsung phones, Nokia and Motorola, which are the other brands tested in this study. 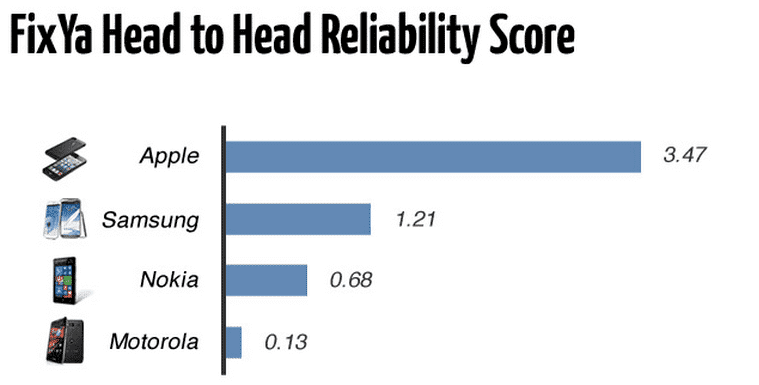 According FixYa, iPhone is three times more reliable than any other Samsung phone. In their study, the iPhone got a score of 3.47, which represents a 187% increase in reliability that Samsung, which scored 1.21. Nokia and Motorola are the worst places in this analysis with a score of 0.68 and 0.13 respectively. As explained in the report of the FixYa site has been carefully analyzed the main line of each company's smartphones, including iPhone, Nokia Lumia, Samsung Galaxy and Droid Razr. 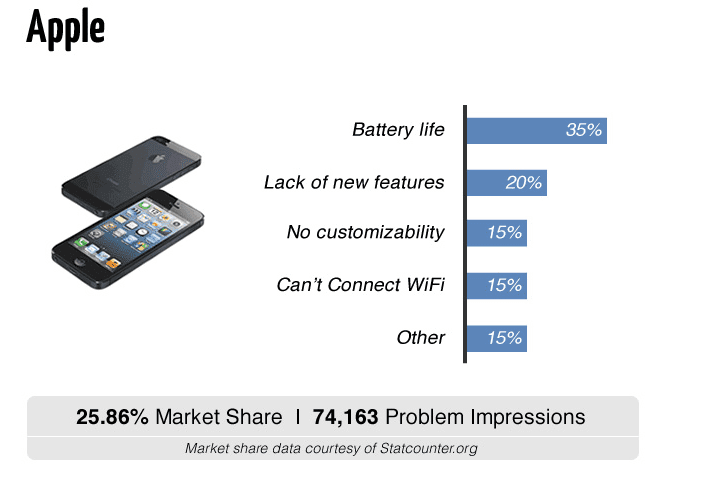 The following problems concerning the iPhone have to do with the battery life, wireless connectivity failures and users have complained about the fact that the phone only allows customization. For its part, Samsung phones pecan problems with microphones and speakers, plus the battery life. Article Apple phones "are three times more reliable than Samsung" was originally published in News iPhone .